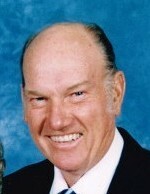 Thomas James Lee Harding, 86, of Pocatello, Idaho, passed away Monday, February 11, 2019 at his home, after an extended illness. He was born December 24, 1932 in Twin Falls, Idaho, the youngest child of Lyman William Harding and Edith Walker. He was reared and educated in Hazelton, Idaho, graduating from high school in 1950. He attended the University of Idaho graduating with a bachelor’s degree in accounting. He also enrolled in the ROTC program, and upon graduating left for pre-flight school in Bainbridge, Georgia. While at college he met Mary Schmid, and they were later married on December 28, 1955 in the Idaho Falls temple. They immediately moved to Lubbock, Texas to complete flight school. His final assignment in the Air Force was at Lackland Air Force base in San Antonio, where he achieved the rank of 1st Lt, and he was also a Captain in the air force reserves. Upon completion of his military service, they moved to Pocatello. Over the years they were blessed with 6 sons. He spent the majority of his career in the grocery retail industry as a food broker. During that period he and his wife formed many lifelong friendships that continue today. He enjoyed most sports, both participating and watching, but his great love was playing golf with his sons, and his many friends. He was a member of the Church of Jesus Christ of Latter Day Saints and served faithfully in various positons, including Bishop of a single student ward at Idaho State University. He and Mary served a mission at the church employment office. He loved his wife and family dearly and will be missed, but we will always have a place for him in our hearts. Survivors include his wife of 63 years, six sons, Tom (Patty) of Queen Creek, Arizona, Shane (Teri) of South Jordan, Utah, Terry (Debra) of Bountiful, Utah, Greg (Tammy) of Pocatello, Dan of Pocatello, and Dave of Pocatello. Jim and Mary have 21 grandchildren and 21 great-grandchildren. He was preceded in death by his parents, and siblings Ora, Dorcus, Connie, Bill, Dot, and Dol. The family would like to thank Alliance Hospice for the excellent care they provided, especially Whitney, Jordan, Lisa, and JoAnne. Funeral services will be conducted at 11:00 a.m. on Saturday, February 16, 2019 at the Highland Stake Center of the Church of Jesus Christ of Latter Day Saints at 2140 Satterfield Drive. Burial will follow at the Restlawn Memorial Gardens in Pocatello. 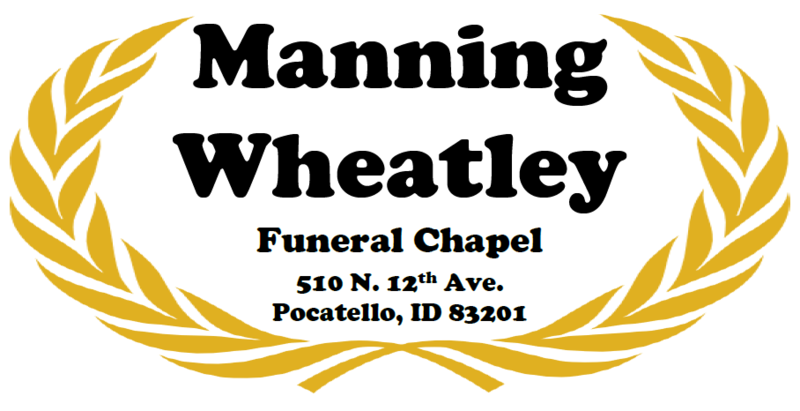 A viewing will be held for family and friends from 6-8 p.m. on Friday, February 15 at the Manning Wheatley Funeral Chapel located at 510 N 12th Avenue, and also at 10:00 a.m. on Saturday prior to the services.